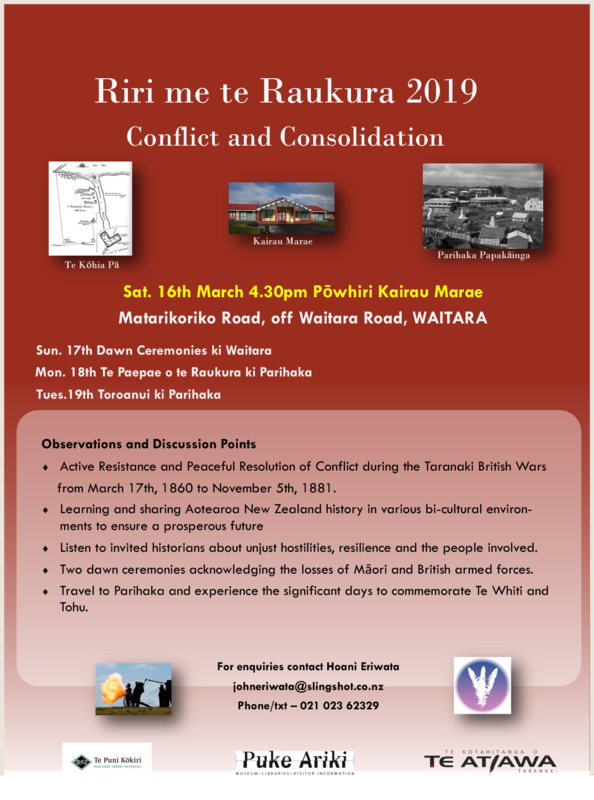 Active Resistance and Peaceful Resolution of Conflict during the Taranaki British Wars from March 17th, 1860 to November 5th, 1881. Listen to invited historians about unjust hostilities, resilience and the people involved. Two dawn ceremonies acknowledging the losses of Māori and British armed forces. Travel to Parihaka and experience the significant days to commemorate Te Whiti and Tohu.